Do you love peacock feathers? I do! They are one of my favorite color combinations. Not to mention they naturally have a shimmer and shine to them. 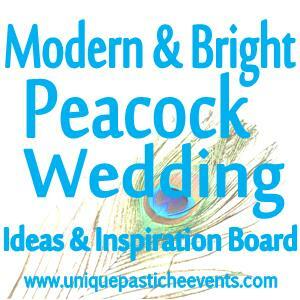 This week’s idea board is for a modern and bright peacock wedding. Why modern and bright? If you were to do a quick search for “peacock weddings”, you’d see tons of beautiful events shared, but so many of them are so dark! Not intentionally, but the colors that people tend to pick out of the feather usually combine into a rather dark and almost dated look. 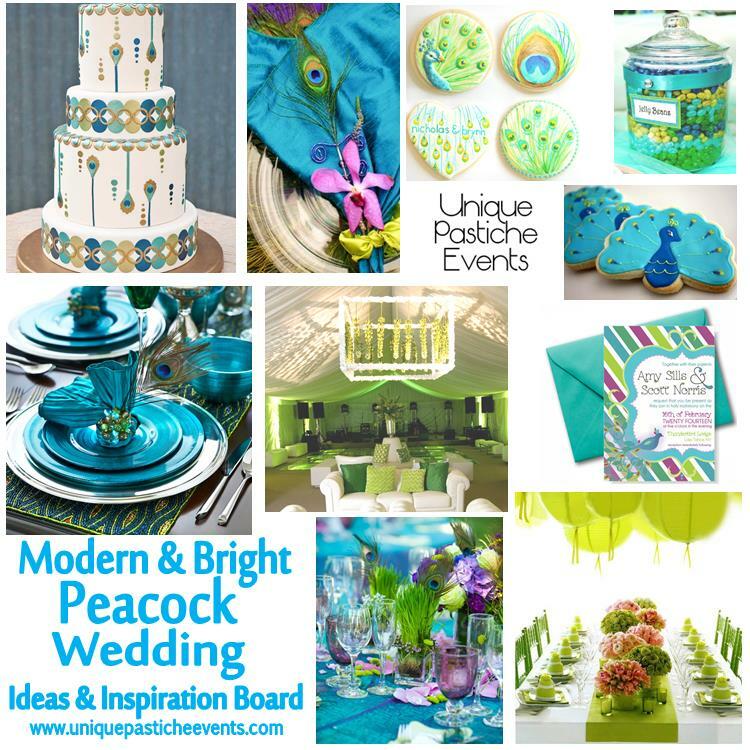 For this idea board, I really wanted to focus on the bright and vibrant colors in a traditional peacock feather and have those be the front and center part of the design scheme. I’d love to see this theme used for a young couple, in the middle of summer, looking for a bunch of color at their wedding, but still keeping it clean and modern looking. Don’t over do the peacock feather itself – you don’t need to plaster them on everything! I got all of these pretty pictures from…. If you were having a peacock wedding, what two colors would you choose to be your main color scheme?